Chapter 143B - Executive Organization Act of 1973. § 143B-2. Interim applicability of the Executive Organization Act of 1973. § 143B-4. Policy-making authority and administrative powers of Governor; delegation. § 143B-5. Governor; continuation of powers and duties. § 143B-7. Continuation of functions. § 143B-9. Appointment of officers and employees. § 143B-10. Powers and duties of heads of principal departments. § 143B-12. Internal organization of departments; allocation and reallocation of duties and functions; limitations. § 143B-13. Appointment, qualifications, terms, and removal of members of commissions. § 143B-14. Administrative services to commissions. § 143B-15. Compensation of members of commissions. § 143B-16. Appointment and removal of members of boards, councils and committees. § 143B-17. Commission investigations and orders. § 143B-18: Repealed by Session Laws 1991, c. 418, s. 10. § 143B-19. Pending actions and proceedings. § 143B-20: Repealed by Session Laws 1991, c. 418, s. 10. § 143B-21. Affirmation of prior acts of abolished agencies. § 143B-22. Terms occurring in laws, contracts and other documents. § 143B-23. Completion of unfinished business. § 143B-24. Cooperative agreements; prohibition regarding Health Benefit Exchanges. § 143B-25. Agencies not enumerated. § 143B-27. Repealed by Session Laws 1983, c. 717, s. 79. § 143B-28. Goals of continuing reorganization. § 143B-28.1. Create Collaboration for Prosperity Zones. § 143B-29. Reserved for future codification. §§ 143B-29.1 through 143B-29.5: Repealed by Session Laws 1985, c. 746, s. 7. § 143B-30: Repealed by Session Laws 1991, c. 418, s. 5. § 143B-30.1. Rules Review Commission created. § 143B-30.2. Purpose of Commission. § 143B-30.3: Repealed by Session Laws 1991, c. 418, s. 5. § 143B-31: Reserved for future codification purposes. § 143B-32: Reserved for future codification purposes. § 143B-33: Reserved for future codification purposes. § 143B-34: Reserved for future codification purposes. § 143B-35: Reserved for future codification purposes. § 143B-36: Reserved for future codification purposes. § 143B-37: Reserved for future codification purposes. § 143B-38: Reserved for future codification purposes. § 143B-39: Reserved for future codification purposes. § 143B-40: Reserved for future codification purposes. § 143B-41: Reserved for future codification purposes. § 143B-42: Reserved for future codification purposes. § 143B-43: Reserved for future codification purposes. § 143B-44: Reserved for future codification purposes. § 143B-45: Reserved for future codification purposes. § 143B-46: Reserved for future codification purposes. § 143B-47: Reserved for future codification purposes. § 143B-48: Reserved for future codification purposes. Article 2 - Department of Natural and Cultural Resources. § 143B-49. Department of Natural and Cultural Resources – creation, powers and duties. § 143B-50. Duties of the Department. § 143B-51. Functions of the Department. § 143B-52. Head of the Department. § 143B-53. Organization of the Department. § 143B-53.1. Appropriation, allotment, and expenditure of funds for historic and archeological property. § 143B-53.2. Salaries, promotions, and leave of employees of the North Carolina Department of Natural and Cultural Resources. § 143B-53.3. Queen Anne's Revenge Project. §§ 143B-54 through 143B-57. Repealed by Session Laws 1979, 2nd Session, c. 1306, s. 5. § 143B-58 through 143B-61.1: Repealed by Session Laws 2000-140, s. 78. § 143B-62. North Carolina Historical Commission – creation, powers and duties. § 143B-63. Historical Commission – members; selection; quorum; compensation. § 143B-64. Historical Commission - officers. § 143B-65. Historical Commission - regular and special meetings. § 143B-66. Repealed by Session Laws 1985 (Reg. Sess., 1986), c. 1028, s. 10. § 143B-67. Public Librarian Certification Commission – creation, powers and duties. § 143B-68. Public Librarian Certification Commission – members; selection; quorum; compensation. § 143B-69. Public Librarian Certification Commission - officers. § 143B-70. Public Librarian Certification Commission - regular and special meetings. § 143B-71. Tryon Palace Commission – creation, powers and duties. § 143B-72. Tryon Palace Commission – members; selection; quorum; compensation. § 143B-73. U.S.S. North Carolina Battleship Commission – creation, powers, and duties. § 143B-73.1. U.S.S. North Carolina Battleship Commission – duties. § 143B-74. U.S.S. North Carolina Battleship Commission – members; selection; quorum; compensation. § 143B-74.1. U.S.S. North Carolina Battleship Commission – funds. § 143B-74.2. U.S.S. North Carolina Battleship Commission – employees. § 143B-74.3. U.S.S. North Carolina Battleship Commission - employees not to have interest. §§ 143B-75 through 143B-78. Repealed by Session Laws 1979, c. 504, s. 1. § 143B-79. Executive Mansion Fine Arts Committee – creation, powers and duties. § 143B-80. Executive Mansion Fine Arts Committee – members; selection; quorum; compensation. § 143B-80.1. Regular and special meetings. § 143B-80.2. Reserved for future codification purposes. § 143B-80.3. Reserved for future codification purposes. § 143B-80.4. Reserved for future codification purposes. §§ 143B-80.5 through 143B-80.14: Repealed by Session Laws 1995, c. 507, s. 12(a). §§ 143B-81 through 143B-82: Repealed by Session Laws 1979, c. 504, s. 2. § 143B-83. North Carolina Awards Committee – creation, powers and duties. § 143B-84. North Carolina Awards Committee – members; selection; quorum; compensation. §§ 143B-85, 143B-86: Repealed by Session Laws 2015-184, s. 4, effective August 1, 2015. § 143B-87. North Carolina Arts Council – creation, powers and duties. § 143B-87.1: Reserved for future codification purposes. § 143B-87.2. A+ Schools Special Fund. § 143B-88. North Carolina Arts Council – members; selection; quorum; compensation. § 143B-89: Repealed by Session Laws 2012-120, s. 1(c), effective October 1, 2012. § 143B-90. State Library Commission – creation, powers and duties. § 143B-91. State Library Commission – members; selection; quorum; compensation. § 143B-92. Roanoke Island Historical Association - creation, powers and duties. § 143B-93. Roanoke Island Historical Association - status. § 143B-94. North Carolina Symphony Society, Inc.
§ 143B-95. Edenton Historical Commission – creation, purposes and powers. § 143B-96. Edenton Historical Commission - status. § 143B-97. Edenton Historical Commission – reports. § 143B-98. Edenton Historical Commission – members; selection; compensation; quorum. § 143B-99. Historic Bath Commission – creation, powers and duties. § 143B-100. Historic Bath Commission - status. § 143B-101. Historic Bath Commission – reports. § 143B-102. Historic Bath Commission – members; selection; quorum; compensation. § 143B-103. Historic Hillsborough Commission - creation, powers and duties. § 143B-104. Historic Hillsborough Commission - status. § 143B-105. Historic Hillsborough Commission – reports. § 143B-106. Historic Hillsborough Commission – members; selection; quorum; compensation. § 143B-107. Historic Murfreesboro Commission - creation, powers and duties. § 143B-108. Historic Murfreesboro Commission - status. § 143B-109. Historic Murfreesboro Commission – reports. § 143B-110. Historic Murfreesboro Commission – members; selection; quorum; compensation. §§ 143B-111 through 143B-115: Repealed by Session Laws 2015-184, s. 5, effective August 5, 2015. §§ 143B-116 through 143B-120. Reserved for future codification purposes. § 143B-122. Distribution of funds. § 143B-123. Rules and procedures; standards for qualification for funds. § 143B-124. Designation of organization as official distributing agent; duties. § 143B-125. Disposition of funds for counties without organizations meeting Department standards. § 143B-126. Voluntary registration; designation of names; registration symbol. § 143B-127. Contracts with registered groups. § 143B-128: Repealed by Session Laws 2011-266, s. 1.1, effective July 1, 2011. §§ 143B-129 through 143B-131: Repealed by Session Laws 1993 (Reg. Sess., 1994), c. 769, s. 12.5(c). §§ 143B-131.1, 143B-131.2: Repealed by Session Laws 2017-57, s. 14.8(e), effective October 1, 2017. § 143B-131.3: Repealed by Session Laws 2014-100, s. 19.8(a), effective July 1, 2014. §§ 143B-131.4 through 143B-131.6: Repealed by Session Laws 2017-57, s. 14.8(e), effective October 1, 2017. § 143B-131.7: Repealed by Session Laws 2015-241, s. 14.33, effective July 1, 2015. § 143B-131.8: Repealed by Session Laws 2011-145, s. 21.2(c), effective July 1, 2012. § 143B-131.8A: Recodified as G.S. 143-202.3 by Session Laws 2017-57, s. 14.8(c), effective October 1, 2017. § 143B-131.9: Recodified as G.S. 143-202.4 by Session Laws 2017-57, s. 14.8(c), effective October 1, 2017. § 143B-131.10: Repealed by Session Laws 2017-57, s. 14.8(e), effective October 1, 2017. § 143B-132: Repealed by Session Laws 2011-266, s. 1.3, effective July 1, 2011. § 143B-133.1. Powers of Commission. § 143B-134. Reserved for future codification purposes. § 143B-135.12. Power to acquire lands as State parks, and other recreational areas; donations or leases by United States; leases for recreational purposes. § 143B-135.14. Power to acquire conservation lands not included in the State Parks System. § 143B-135.16. Control over State parks; operation of public service facilities; concessions to private concerns; authority to charge fees and adopt rules. § 143B-135.18. Legislative authority necessary for payment. § 143B-135.20. License fees for hunting and fishing on government-owned property unaffected. § 143B-135.22. Donations of property for park purposes; agreements with federal government or agencies for acquisition. § 143B-135.24. Expenditure of funds for development, etc. ; disposition of products from lands; rules. § 143B-135.26. Disposition of revenues received from lands acquired. § 143B-135.28. State not obligated for debts created hereunder. § 143B-135.30. Disposition of lands acquired. § 143B-135.42. Declaration of policy and purpose. § 143B-135.43. Control of Mount Mitchell Park and other parks in the North Carolina State Parks System. § 143B-135.46. Powers of the Secretary. § 143B-135.48. Preparation of a System Plan. § 143B-135.50. Classification of parks resources. § 143B-135.52. General management plans. § 143B-135.54. Additions to and deletions from the State Parks System. § 143B-135.56. Parks and Recreation Trust Fund. § 143B-135.58. State Parks boat ramps. § 143B-135.72. Policy and purpose. § 143B-135.74. Appalachian Trails System; connecting or side trails; coordination with the National Trails System Act. § 143B-135.76. Assistance under this Part with the National Trails System Act (PL 90-543). § 143B-135.78. Acquisition of rights-of-way and lands; manner of acquiring. § 143B-135.92. Declaration of policy and purpose. § 143B-135.96. Composition of State trails system. § 143B-135.98. Authority to designate trails. § 143B-135.100. Use of State land for bicycling; creation of trails by volunteers. § 143B-135.102. Trails Committee duties. § 143B-135.104. Location of trails. § 143B-135.106. Scenic easements within right-of-way. § 143B-135.108. Trails within parks; conflict of laws. § 143B-135.110. Uniform trail markers. § 143B-135.116. Incorporation in National Trails System. § 143B-135.118. Trail use liability. § 143B-135.130. North Carolina Trails Committee – creation; powers and duties. § 143B-135.132. North Carolina Trails Committee – members; selection; removal; compensation. § 143B-135.142. Declaration of policy. § 143B-135.144. Declaration of purpose. § 143B-135.148. Types of scenic rivers. § 143B-135.150. Criteria for system. § 143B-135.152. Components of system; management plan; acquisition of land and easements; inclusion in national system. § 143B-135.156. Administrative agency; federal grants; additions to the system; regulations. § 143B-135.158. Raising the status of an area. § 143B-135.162. Claim and allowance of charitable deduction for contribution or gift of easement. § 143B-135.164. Component as part of State park, wildlife refuge, etc. § 143B-135.166. Component as part of national wild and scenic river system. § 143B-135.170. Authorization of advances. § 143B-135.172. Restrictions on project works on natural or scenic river. § 143B-135.180. Division of North Carolina Aquariums – creation. § 143B-135.182. Division of North Carolina Aquariums – organization; powers and duties. § 143B-135.184. North Carolina Aquariums; purpose. § 143B-135.186. Local advisory committees; duties; membership. § 143B-135.188. North Carolina Aquariums; fees; fund. § 143B-135.190. Satellite areas prohibited absent General Assembly authorization. § 143B-135.200. North Carolina Parks and Recreation Authority; creation; powers and duties. § 143B-135.202. North Carolina Parks and Recreation Authority; members; selection; compensation; meetings. § 143B-135.205. North Carolina Zoological Park Council – creation; powers and duties. § 143B-135.207. North Carolina Zoological Park Council – members; selection; removal; chairman; compensation; quorum; services. § 143B-135.209. North Carolina Zoo Fund. § 143B-135.210. Right to receive gifts. § 143B-135.211. Tax exemption for gifts to North Carolina Zoological Park. § 143B-135.212. Cities and counties. § 143B-135.213. Sources of funds. § 143B-135.214. Powers of Council and Department regarding certain fee negotiations, contracts, and capital improvements. § 143B-135.215. Commission created; membership. § 143B-135.217. Duties of Commission; meetings, formulation of policies and recommendations to Governor and General Assembly. § 143B-135.219. No compensation of members; reimbursement for expenses. § 143B-135.221. Reports to General Assembly. § 143B-135.223. Museum of Natural Sciences; disposition of objects. § 143B-135.225. Museum of Natural Sciences; fees; fund. § 143B-135.227. North Carolina Science Museums Grant Program. § 143B-135.229. North Carolina Museum of Natural Sciences at Whiteville; satellite museum. § 143B-135.234. Clean Water Management Trust Fund. § 143B-135.236. North Carolina Conservation Easement Endowment Fund. § 143B-135.240. Clean Water Management Trust Fund: Board of Trustees established; membership qualifications; vacancies; meetings and meeting facilities. § 143B-135.242. Clean Water Management Trust Fund Board of Trustees: powers and duties. § 143B-135.244. Clean Water Management Trust Fund: reporting requirement. § 143B-135.246. Clean Water Management Trust Fund: Executive Director and staff. § 143B-135.248. Clean Water Management Trust Fund: Advisory Council. § 143B-135.252. Declaration of policy and purpose. § 143B-135.256. Powers and duties of the Secretary. § 143B-135.258. Registration of natural areas. § 143B-135.260. Dedication of nature preserves. § 143B-135.262. Nature preserves held in trust. § 143B-135.264. Dedication of state-owned lands to nature preserves; procedures. § 143B-135.266. Dedication of preserves by local governmental units. § 143B-135.268. Acquisition of land by State. § 143B-135.270. Assessment of land subject to permanent dedication agreement. § 143B-135.272. Access to information; fees. Article 3 - Department of Health and Human Services. § 143B-136: Repealed by Session Laws 1997-443, s. 11A.2. § 143B-136.1. Department of Health and Human Services - creation. § 143B-137: Repealed by Session Laws 1997-443, s. 11A.2. § 143B-137.1. Department of Health and Human Services - duties. § 143B-138: Repealed by Session Laws 1997-443, s. 11A.2. § 143B-138.1. Department of Health and Human Services - functions and organization. § 143B-139. Department of Health and Human Services - head. § 143B-139.1. Secretary of Health and Human Services to adopt rules applicable to local health and human services agencies. § 143B-139.2. Secretary of Health and Human Services requests for grants-in-aid from non-State agencies. § 143B-139.2A: Repealed by Session Laws 2017-57, s. 11A.14(g), effective July 1, 2017. § 143B-139.3. Department of Health and Human Services - authority to contract with other entities. § 143B-139.4. Department of Health and Human Services; authority to assist private nonprofit organizations. § 143B-139.4A. Office of Rural Health to work with organizations for expansion of mental health and substance abuse services. § 143B-139.4B. Office of Rural Health to oversee and monitor establishment and administration of statewide telepsychiatry program. § 143B-139.4C. Office of Rural Health; administration of loan repayment programs. § 143B-139.4D. Department of Health and Human Services; coordination of health information technology. § 143B-139.5. Department of Health and Human Services; adult care State/county share of costs for State-County Special Assistance programs. § 143B-139.5A. Collaboration between Division of Social Services and Commission of Indian Affairs on Indian Child Welfare Issues. § 143B-139.5B. Department of Health and Human Services - provision for joint training. § 143B-139.5C. Internet data warehouse for provider records; annual review of accrediting body policies to avoid duplication. § 143B-139.6. Confidentiality of records. § 143B-139.6A. Secretary's responsibilities regarding availability of early intervention services. § 143B-139.6B. Department of Health and Human Services; authority to deduct payroll for child care services. § 143B-139.6C. Cooling-off period for certain Department employees. § 143B-139.7. Consolidated county human services funding. § 143B-140: Repealed by Session Laws 1989, c. 727, s. 174. § 143B-141. Repealed by Session Laws 1983, c. 494, effective June 10, 1983. §§ 143B-142 through 143B-146: Recodified as §§ 130A-29 through 130A-33 by Session Laws 1989, c. 727, s. 175. § 143B-146.1. Mission of schools; definitions. § 143B-146.2. School-Based Management and Accountability Program in residential schools. § 143B-146.3. Annual performance goals. § 143B-146.4: Repealed by Session Laws 2015-65, s. 1.6, effective June 11, 2015. § 143B-146.5. Identification of low-performing schools. § 143B-146.6. Assistance teams; review by State Board. § 143B-146.7. Consequences for personnel at low-performing schools. § 143B-146.8. Evaluation of licensed personnel and principals; action plans; State Board notification. § 143B-146.10. Development of performance standards and criteria for certificated personnel. § 143B-146.12: Repealed by Session Laws 2011-145, s. 7.13(v), effective July 1, 2011. § 143B-146.13. School technology plan. § 143B-146.14. Dispute resolution; appeals to Secretary. § 143B-146.15. Duty to report certain acts to law enforcement. § 143B-146.16. Residential school personnel criminal history checks. §§ 143B-146.17 through 143B-146.20. Reserved for future codification purposes. § 143B-146.21. Policies, reports, and other miscellaneous provisions. § 143B-146.22: Repealed by Session Laws 2001-424, s. 21.80(a). §§ 143B-146.23 through 143B-146.27. Reserved for future codification purposes. § 143B-147. Commission for Mental Health, Developmental Disabilities, and Substance Abuse Services – creation, powers and duties. § 143B-148. Commission for Mental Health, Developmental Disabilities, and Substance Abuse Services - members; selection; quorum; compensation. § 143B-149. Commission for Mental Health, Developmental Disabilities, and Substance Abuse Services - officers. § 143B-150. Commission for Mental Health, Developmental Disabilities, and Substance Abuse Services - regular and special meetings. § 143B-150.1. Use of funds for North Carolina Child Treatment Program. § 143B-150.5. Family Preservation Services Program established; purpose. § 143B-150.6. Program services; eligibility; grants for local projects; fund transfers. §§ 143B-150.7 through 143B-150.9: Repealed by Session Laws 2001-424, ss. 21.50(h) to (j). §§ 143B-150.10 through 143B-150.19. Reserved for future codification purposes. § 143B-150.20. State Child Fatality Review Team; establishment; purpose; powers; duties; report by Division of Social Services. §§ 143B-151 through 143B-152: Repealed by Session Laws 1977, c. 497. § 143B-152.1: Repealed by Session Laws 2009-451, s. 18.6, as amended by Session Laws 2010-123, s. 6.2, effective July 1, 2009. § 143B-152.2: Repealed by Session Laws 2009-451, s. 18.6, as amended by Session Laws 2010-123, s. 6.2, effective July 1, 2009. § 143B-152.3: Repealed by Session Laws 2009-451, s. 18.6, as amended by Session Laws 2010-123, s. 6.2, effective July 1, 2009. § 143B-152.4: Repealed by Session Laws 2009-451, s. 18.6, as amended by Session Laws 2010-123, s. 6.2, effective July 1, 2009. § 143B-152.5: Repealed by Session Laws 2009-451, s. 18.6, as amended by Session Laws 2010-123, s. 6.2, effective July 1, 2009. § 143B-152.6: Repealed by Session Laws 2009-451, s. 18.6, as amended by Session Laws 2010-123, s. 6.2, effective July 1, 2009. § 143B-152.7: Repealed by Session Laws 2009-451, s. 18.6, as amended by Session Laws 2010-123, s. 6.2, effective July 1, 2009. § 143B-152.8. Reserved for future codification purposes. § 143B-152.9. Reserved for future codification purposes. § 143B-152.10. Family Resource Center Grant Program; creation; purpose; intent. § 143B-152.11. Administration of program. § 143B-152.12. Eligible applicants: applications for grants. § 143B-152.13. Grants review and selection. § 143B-152.14. Cooperation of State and local agencies. § 143B-152.15. Program evaluation; reporting requirements. § 143B-153. Social Services Commission – creation, powers and duties. § 143B-153.1. Repealed by Session Laws 1983, c. 883, s. 2, effective July 20, 1983. § 143B-154. Social Services Commission - members; selection; quorum; compensation. § 143B-155. Social Services Commission - regular and special meetings. § 143B-156. Social Services Commission - officers. § 143B-157. Commission for the Blind – creation, powers and duties. § 143B-158. Commission for the Blind. § 143B-159. Commission for the Blind - regular and special meetings. § 143B-160. Commission for the Blind - officers. §§ 143B-161, 143B-162: Repealed by Session Laws 2013-360, s. 12A.14(a), effective July 1, 2013. § 143B-163. Consumer and Advocacy Advisory Committee for the Blind - creation, powers and duties. § 143B-164. Consumer and Advocacy Advisory Committee for the Blind - members; selection; quorum; compensation. §§ 143B-164.1 through 143B-164.9. Reserved for future codification purposes. §§ 143B-164.10 through 143B-164.18: Repealed by Session Laws 2013-247, s. 1(b), effective July 3, 2013. § 143B-165. North Carolina Medical Care Commission - creation, powers and duties. § 143B-166. North Carolina Medical Care Commission - members; selection; quorum; compensation. § 143B-167. North Carolina Medical Care Commission - regular and special meetings. § 143B-168. North Carolina Medical Care Commission - officers. § 143B-168.1. Repealed by Session Laws 1987, c. 788, s. 23. § 143B-168.2. Repealed by Session Laws 1987, c. 788, s. 24. § 143B-168.3. Child Care Commission - powers and duties. § 143B-168.4. Child Care Commission ¦ members; selection; quorum. § 143B-168.5. Child Care – special unit. §§ 143B-168.6 through 143B-168.9. Reserved for future codification purposes. § 143B-168.10. Early childhood initiatives; findings. § 143B-168.10A. NC Pre-K Reports. § 143B-168.10B: Repealed by Session Laws 2018-5, s. 11B.1(a), as added by 2018-2, s. 7, effective July 1, 2018. § 143B-168.10C. Adjustments to NC Prekindergarten Program Funds. § 143B-168.11. Early childhood initiatives; purpose; definitions. § 143B-168.12. North Carolina Partnership for Children, Inc.; conditions. § 143B-168.13. Implementation of program; duties of Department and Secretary. § 143B-168.14. Local partnerships; conditions. § 143B-168.15. Use of State funds. § 143B-168.16. Home-centered services; consent. § 143B-168.25. Child care funds matching requirements. § 143B-168.26. Child care revolving loan. § 143B-168.27. Administrative allowance for county departments of social services; use of subsidy funds for fraud detection. §§ 143B-169 through 143B-172: Repealed by Session Laws 1979, c. 504, s. 9. §§ 143B-173 through 143B-176: Repealed by Session Laws 1989, c. 533, s. 3. §§ 143B-176.1 through 143B-176.2: Recodified as §§ 143B-164.11 and 143B-164.12 by Session Laws 1997-18, ss. 13(b) and (c). § 143B-177. Council on Developmental Disabilities - creation, powers and duties. § 143B-178. Council on Developmental Disabilities - definitions. § 143B-179. Council on Developmental Disabilities – members; selection; quorum; compensation. §§ 143B-179.1 through 143B-179.4. Reserved for future codification purposes. § 143B-179.5. Interagency Coordinating Council for Children from Birth to Five with Disabilities and Their Families; establishment, composition, organization; duties, compensation, reporting. § 143B-179.5A: Repealed by Session Laws 2008-85, s. 1, effective July 11, 2008. § 143B-179.6. Interagency Coordinating Council for Children with Disabilities from Birth to Five Years of Age; agency cooperation. § 143B-180. Governor's Advisory Council on Aging - creation, powers and duties. § 143B-181. Governor's Advisory Council on Aging – members; selection; quorum; compensation. § 143B-181.1. Division of Aging ¦ creation, powers and duties. § 143B-181.1A. Plan for serving older adults; inventory of existing data; cooperation by State agencies. § 143B-181.1B. Division as clearinghouse for information; agencies to provide information. § 143B-181.2. Assistant Secretary for Aging - appointment and duties. § 143B-181.3. Older adults - findings; policy. § 143B-181.4. Responsibility for policy. § 143B-181.5. Long-term services and supports - findings. § 143B-181.6. Purpose and intent. §§ 143B-181.7 through 143B-181.9: Repealed by Session Laws 1995 (Regular Session, 1996), c. 583, s. 2. § 143B-181.9A: Repealed by Session Laws 1995, c. 179, s. 1. § 143B-181.10. Respite care program established; eligibility; services; administration; payment rates. §§ 143B-181.11 through 143B-181.14. Reserved for future codification purposes. § 143B-181.15. Long-Term Care Ombudsman Program/Office; policy. § 143B-181.16. Long-Term Care Ombudsman Program/Office; definition. § 143B-181.17. Office of State Long-Term Care Ombudsman Program/Office; establishment. § 143B-181.18. Office of State Long-Term Care Ombudsman Program/State Ombudsman duties. § 143B-181.19. Office of Regional Long-Term Care Ombudsman; Regional Ombudsman; duties. § 143B-181.20. State/Regional Long-Term Care Ombudsman; authority to enter; cooperation of government agencies; communication with residents. § 143B-181.21. State/Regional Long-Term Care Ombudsman; resolution of complaints. § 143B-181.22. State/Regional Long-Term Care Ombudsman; confidentiality. § 143B-181.23. State/Regional Long-Term Care Ombudsman; prohibition of retaliation. § 143B-181.24. Office of State/Regional Long-Term Care Ombudsman; immunity from liability. § 143B-181.25. Office of State/Regional Long-Term Care Ombudsman; penalty for willful interference. §§ 143B-181.26 through 143B-181.49. Reserved for future codification purposes. §§ 143B-181.50 through 143B-181.54. Repealed by Session Laws 1999-334, s. 3.11. § 143B-181.55. Creation, membership, meetings, organization, and adoption of measures. §§ 143B-182, 143B-183: Repealed by Session Laws 1981, c. 51, s. 13. §§ 143B-184, 143B-185: Repealed by Session Laws 1985 (Reg. Sess., 1986), c. 1028, s. 28. §§ 143B-186, 143B-187: Transferred to §§ 143B-414, 143B-415 by Session Laws 1977, c. 872, s. 6. §§ 143B-188 through 143B-190: Recodified as §§ 130A-131 through 130A-131.2 by Session Laws 1989, c. 727, s. 179. §§ 143B-191 through 143B-196: Repealed by Session Laws 1987, c. 822, s. 1. §§ 143B-197 through 143B-201. Repealed by Session Laws 1979, c. 504, s. 10. §§ 143B-202 through 143B-203: Repealed by Session Laws 1989, c. 727, s. 181. §§ 143B-204 through 143B-206: Recodified as §§ 130A-33.30 through 130A-33.32 by Session Laws 1989, c. 727, s. 182(a). §§ 143B-207 through 143B-208: Repealed by Session Laws 1981, c. 50, s. 7. § 143B-209. Repealed by Session Laws 1983, c. 891, s. 10, effective January 1, 1984. §§ 143B-210 through 143B-212. Repealed by Session Laws 1981, c. 51, s. 7, effective July 1, 1981. §§ 143B-213 through 143B-216.5B: Repealed by Session Laws 1989, c. 533, s. 1. §§ 143B-216.6 through 143B-216.7: Repealed by Session Laws 1979, c. 504, s. 13. §§ 143B-216.8 through 143B-216.9: Recodified as §§ 130A-33.40, 130A-33.41 by Session Laws 1989, c. 727, s. 186. §§ 143B-216.10 through 143B-216.15: Recodified as §§ 143B-285.10 through 143B-285.15 by Session Laws 1989, c. 727, s. 189. §§ 143B-216.16 through 143B-216.19. Reserved for future codification purposes. § 143B-216.20: Recodified as G.S. 143A-48.1(a) by Session Laws 2002-126, s. 10.10D(a), effective October 1, 2002. § 143B-216.21: Recodified as G.S. 143A-48.1(b) by Session Laws 2002-126, s. 10.10D(a), effective October 1, 2002. § 143B-216.22: Recodified as G.S. 143A-48.1(c) by Session Laws 2002-126, s. 10.10D(a), effective October 1, 2002. § 143B-216.23: Recodified as G.S. 143A-48.1(d) by Session Laws 2002-126, s. 10.10D(a), effective October 1, 2002. §§ 143B-216.24 through 143B-216.29. Reserved for future codification purposes. § 143B-216.31. Council for the Deaf and the Hard of Hearing – creation and duties. § 143B-216.32. Council for the Deaf and the Hard of Hearing – membership; quorum; compensation. § 143B-216.33. Division of Services for the Deaf and the Hard of Hearing creation, powers and duties. § 143B-216.34. Division of Services for the Deaf and the Hard of Hearing - temporary loan program established. §§ 143B-216.35 through 143B-216.39. Reserved for future codification purposes. §§ 143B-216.40 through 143B-216.44: Repealed by Session Laws 2013-247, s. 1(c), effective July 3, 2013. §§ 143B-216.45 through 143B-216.49. Reserved for future codification purposes. § 143B-216.50. Department of Health and Human Services; office of the Internal Auditor. § 143B-216.51. Department of Health and Human Services office of the Internal Auditor; Department audits. §§ 143B-216.52 through 143B-216.59. Reserved for future codification purposes. § 143B-216.54. Department of Health and Human Services; Office of Program Evaluation Reporting and Accountability. § 143B-216.55. Appointment, qualifications, and removal of OPERA Director. § 143B-216.56. Duties of the Office of Program Evaluation Reporting and Accountability. § 143B-216.57. Powers of the Office of Program Evaluation Reporting and Accountability. § 143B-216.60. The Justus-Warren Heart Disease and Stroke Prevention Task Force. §§ 143B-216.61 through 143B-216.64: Reserved for future codification purposes. § 143B-216.65. North Carolina Brain Injury Advisory Council - creation and duties. § 143B-216.66. North Carolina Brain Injury Advisory Council - membership; quorum; compensation. § 143B-216.67: Reserved for future codification purposes. § 143B-216.68: Reserved for future codification purposes. § 143B-216.69: Reserved for future codification purposes. § 143B-216.70. Office of Policy and Planning. § 143B-216.71: Reserved for future codification purposes. § 143B-216.72: Reserved for future codification purposes. § 143B-216.72A: Recodified as G.S. 143B-472.121 through 143B-472.123 by Session Laws 2009-446, s. 2(a). § 143B-216.72B: Recodified as G.S. 143B-472.121 through 143B-472.123 by Session Laws 2009-446, s. 2(a). § 143B-216.72C: Recodified as G.S. 143B-472.121 through 143B-472.123 by Session Laws 2009-446, s. 2(a). § 143B-216.73: Reserved for future codification purposes. § 143B-216.74: Reserved for future codification purposes. § 143B-216.75: Repealed by Session Laws 2011-266, s. 1.40, effective July 1, 2011. § 143B-216.80. Division of Health Benefits – creation and organization. § 143B-216.85. (Effective January 1, 2021) Appointment; term of office; and removal of the Director of the Division of Health Benefits. Article 4 - Department of Revenue. § 143B-217. Department of Revenue - creation. § 143B-218. Department of Revenue - duties. § 143B-218.1: Recodified as § 105-256(a)(6) by Session Laws 2001-414, s. 25. § 143B-219. Department of Revenue - functions. § 143B-220. Department of Revenue - head. § 143B-221: Repealed by Session Laws 2001-414, s. 47. §§ 143B-222 through 143B-225: Repealed by Session Laws 1991, c. 110, s. 3. §§ 143B-226 through 143B-245. Reserved for future codification purposes. Article 5 - Department of Military and Veterans Affairs. §§ 143B-246 through 143B-251. Repealed by Session Laws 1977, c. 70, s. 33. §§ 143B-252 through 143B-253. Transferred to §§ 143B-399, 143B-400 by Session Laws 1977, c. 70, ss. 24, 25. §§ 143B-254 through 143B-255. Repealed by Session Laws 1977, c. 23, s. 3. §§ 143B-256 through 143B-259. Reserved for future codification purposes. Article 6 - Department of Correction. §§ 143B-260 through 143B-264: Recodified and renumbered as Subpart A of Part 2 of Article 13, G.S. 143B-700 through 143B-711. § 143B-265: Recodified and renumbered as Subpart B of Part 2 of Article 13, G.S. 143B-715. §§ 143B-266, 143B-267: Recodified and renumbered as Subpart C of Part 2 of Article 13, G.S. 143B-720, 143B-721. § 143B-268. Reserved for future codification purposes. § 143B-269: Repealed by Session Laws 2007-252, s. 1, effective July 1, 2007. § 143B-270: Repealed by Session Laws 2011-266, s. 1.17(a), effective July 1, 2011. § 143B-271: Repealed by Session Laws 2011-266, s. 1.17(a), effective July 1, 2011. § 143B-272: Reserved for future codification purposes. Article 6A - North Carolina State-County Criminal Justice Partnership Act. § 143B-273: Repealed by Session Laws 2011-192, s. 6(a), effective July 1, 2011. § 143B-273.1: Repealed by Session Laws 2011-192, s. 6(a), effective July 1, 2011. § 143B-273.2: Repealed by Session Laws 2011-192, s. 6(a), effective July 1, 2011. § 143B-273.3: Repealed by Session Laws 2011-192, s. 6(a), effective July 1, 2011. § 143B-273.4: Repealed by Session Laws 2011-192, s. 6(a), effective July 1, 2011. § 143B-273.5: Repealed by Session Laws 2011-192, s. 6(a), effective July 1, 2011. § 143B-273.6: Repealed by Session Laws 2011-192, s. 6(a), effective July 1, 2011. § 143B-273.7: Repealed by Session Laws 2011-192, s. 6(a), effective July 1, 2011. § 143B-273.8: Repealed by Session Laws 2011-192, s. 6(a), effective July 1, 2011. § 143B-273.9: Repealed by Session Laws 2011-192, s. 6(a), effective July 1, 2011. § 143B-273.10: Repealed by Session Laws 2011-192, s. 6(a), effective July 1, 2011. § 143B-273.11: Repealed by Session Laws 2011-192, s. 6(a), effective July 1, 2011. § 143B-273.12: Repealed by Session Laws 2011-192, s. 6(a), effective July 1, 2011. § 143B-273.13: Repealed by Session Laws 2011-192, s. 6(a), effective July 1, 2011. § 143B-273.14: Repealed by Session Laws 2011-192, s. 6(a), effective July 1, 2011. § 143B-273.15: Repealed by Session Laws 2011-192, s. 6(a), effective July 1, 2011. § 143B-273.15A: Repealed by Session Laws 2011-192, s. 6(a), effective July 1, 2011. § 143B-273.16: Repealed by Session Laws 2011-192, s. 6(a), effective July 1, 2011. § 143B-273.17: Repealed by Session Laws 2011-192, s. 6(a), effective July 1, 2011. § 143B-273.18: Repealed by Session Laws 2011-192, s. 6(a), effective July 1, 2011. § 143B-273.19: Repealed by Session Laws 2011-192, s. 6(a), effective July 1, 2011. § 143B-274. Reserved for future codification purposes. Article 7 - Department of Environmental Quality. §§ 143B-275 through 143B-279: Repealed by Session Laws 1989, c. 727, s. 2. § 143B-279.1. Department of Environmental Quality – creation. § 143B-279.2. Department of Environmental Quality – duties. § 143B-279.3. Department of Environmental Quality – structure. § 143B-279.4. The Department of Environmental Quality – Secretary; Deputy Secretaries. § 143B-279.5: Repealed by Session Laws 2017-10, s. 4.6, effective May 4, 2017. § 143B-279.6: Repealed by Session Laws 1997-443, s. 11A.2. § 143B-279.7. Fish kill response protocols; report. § 143B-279.8. Coastal Habitat Protection Plans. § 143B-279.9. Land-use restrictions may be imposed to reduce danger to public health at contaminated sites. § 143B-279.10. Recordation of contaminated sites. § 143B-279.11. Recordation of residual petroleum from underground or aboveground storage tanks or other sources. § 143B-279.12. One-stop permits for certain environmental permits. § 143B-279.13. Express permit and certification reviews. § 143B-279.14. Express Review Fund. § 143B-279.15: Repealed by Session Laws 2015-286, s. 4.12(c), effective October 22, 2015. § 143B-279.16. Civil penalty assessments. § 143B-279.17. Tracking and report on permit processing times. § 143B-280: Repealed by Session Laws 1989, c. 727, s. 2. § 143B-281: Repealed by Session Laws 1989, c. 727, s. 2. § 143B-281.1. Wildlife Resources Commission – transfer; independence preserved; appointment of Executive Director and employees. § 143B-282. Environmental Management Commission – creation; powers and duties. § 143B-282.1. Environmental Management Commission – quasi-judicial powers; procedures. § 143B-283. Environmental Management Commission – members; selection; removal; compensation; quorum; services. § 143B-284. Environmental Management Commission – officers. § 143B-285. Environmental Management Commission – meetings. §§ 143B-285.1 through 143B-285.9. Reserved for future codification purposes. §§ 143B-285.10 through 143B-285.15: Repealed by Session Laws 1993, c. 501, s. 1. §§ 143B-285.16 through 143B-285.19. Reserved for future codification purposes. § 143B-285.21. Declaration of purpose. § 143B-285.23. Powers and duties of the Secretary of Environmental Quality. § 143B-285.24. Grants and awards. § 143B-285.25. Liaison between the Office of Environmental Education and Public Affairs and the Department of Public Instruction. §§ 143B-286 through 143B-289: Repealed by Session Laws 1987, c. 641, s. 1. §§ 143B-289.1 through 143B-289.12: Repealed by Session Laws 1997-400, s. 6.3. §§ 143B-289.13 through 143B-289.18: Reserved for future codification purposes. §§ 143B-289.19 through 143B-289.23: Recodified as §§ 143B-289.40 through 143B-289.44 by Session Laws 1997-400, ss. 6, 6.3(b). §§ 143B-289.24 through 143B-289.39: Reserved for future codification purposes. § 143B-289.40: Recodified as G.S. 143B-135.180 by Session Laws 2015-241, s. 14.30(g), effective July 1, 2015. § 143B-289.41: Recodified as G.S. 143B-135.182 by Session Laws 2015-241, s. 14.30(g), effective July 1, 2015. § 143B-289.42: Recodified as G.S. 143B-135.184 by Session Laws 2015-241, s. 14.30(g), effective July 1, 2015. § 143B-289.43: Recodified as G.S. 143B-135.186 by Session Laws 2015-241, s. 14.30(g), effective July 1, 2015. § 143B-289.44: Recodified as G.S. 143B-135.188 by Session Laws 2015-241, s. 14.30(g), effective July 1, 2015. § 143B-289.45: Recodified as G.S. 143B-135.190 by Session Laws 2015-241, s. 14.30(g), effective July 1, 2015. § 143B-289.46. Reserved for future codification purposes. § 143B-289.47. Reserved for future codification purposes. § 143B-289.48. Reserved for future codification purposes. § 143B-289.49. Reserved for future codification purposes. § 143B-289.51. Marine Fisheries Commission – creation; purposes. § 143B-289.52. Marine Fisheries Commission – powers and duties. § 143B-289.53. Marine Fisheries Commission – quasi-judicial powers; procedures. § 143B-289.54. Marine Fisheries Commission – members; appointment; term; oath; ethical standards; removal; compensation; staff. § 143B-289.55. Marine Fisheries Commission - officers; organization; seal. § 143B-289.56. Marine Fisheries Commission - meetings; quorum. § 143B-289.57. Marine Fisheries Commission Advisory Committees established; members; selection; duties. § 143B-289.58: Repealed by Session Laws 2013-360, s. 14.10, effective July 1, 2013. § 143B-289.59. Conservation Fund; Commission may accept gifts. § 143B-289.60. Article subject to Chapter 113. §§ 143B-289.62 through 143B-289.65. Reserved for future codification purposes. § 143B-290. North Carolina Mining Commission – creation; powers and duties. § 143B-291. North Carolina Mining Commission – members; selection; removal; compensation; quorum; services. § 143B-292. North Carolina Mining Commission – officers. § 143B-293. North Carolina Mining Commission – meetings. § 143B-293.1. North Carolina Oil and Gas Commission – creation; powers and duties. § 143B-293.2.  North Carolina Oil and Gas Commission – members; selection; removal; compensation; quorum; services. § 143B-293.3: Reserved for future codification purposes. § 143B-293.4. North Carolina Oil and Gas Commission – officers. § 143B-293.5. North Carolina Oil and Gas Commission – meetings. § 143B-293.6. North Carolina Oil and Gas Commission – quasi-judicial powers; procedures. §§ 143B-294 through 143B-297.1: Recodified as Article 71 of Chapter 106, G.S. 106-840 through G.S. 106-844, by Session Laws 2011-145, s. 13.22A(e), effective July 1, 2011. § 143B-298. Sedimentation Control Commission – creation; powers and duties. § 143B-299. Sedimentation Control Commission – members; selection; compensation; meetings. § 143B-300. Water Pollution Control System Operators Certification Commission – creation; powers and duties. § 143B-301. Water Pollution Control System Operators Certification Commission – members; selection; removal; compensation; quorum; services. §§ 143B-301.2 through 143B-301.9. Reserved for future codification purposes. § 143B-301.11. Creation, powers, and duties of the Commission. § 143B-301.12. Membership of Commission. §§ 143B-302 through 143B-304: Repealed by Session Laws 1983, c. 667, s. 1. §§ 143B-305 through 143B-307: Recodified as §§ 143B-437.1 through 143B-437.3 by Session Laws 1989, c. 727, s. 199. §§ 143B-308 through 143B-310: Recodified as G.S. 143A-66.1 through 143A-66.3, in Article 7 of Chapter 143A, by Session Laws 2011-145, s. 13.25(f), effective July 1, 2011. §§ 143B-311 through 143B-313: Repealed by Session Laws 1995, c. 456, s. 4. § 143B-313.1: Recodified as G.S. 143B-135.200 by Session Laws 2015-241, s. 14.30(h), effective July 1, 2015. § 143B-313.2: Recodified as G.S. 143B-135.202 by Session Laws 2015-241, s. 14.30(h), effective July 1, 2015. §§ 143B-314 through 143B-316: Repealed by Session Laws 1983 (Regular Session 1984), c. 995, s. 12. § 143B-317: Repealed by Session Laws 2011-266, ss. 1.35(a) and 3.3(a), effective July 1, 2011. § 143B-318: Repealed by Session Laws 2011-266, ss. 1.35(a) and 3.3(a), effective July 1, 2011. § 143B-319: Repealed by Session Laws 2011-266, ss. 1.35(a) and 3.3(a), effective July 1, 2011. §§ 143B-320 through 143B-321: Repealed by Session Laws 1983 (Regular Session 1984), c. 995, s. 14. §§ 143B-322 through 143B-324: Recodified as §§ 143B-446 through 143B-447.1 by Session Laws 1977, c. 198, s. 26. § 143B-324.1. Western North Carolina Public Lands Council creation; powers; duties. § 143B-324.2. Western North Carolina Public Lands Council members; selection; officers; removal; compensation; quorum; services. § 143B-324.3. Western North Carolina Public Lands Council meetings.